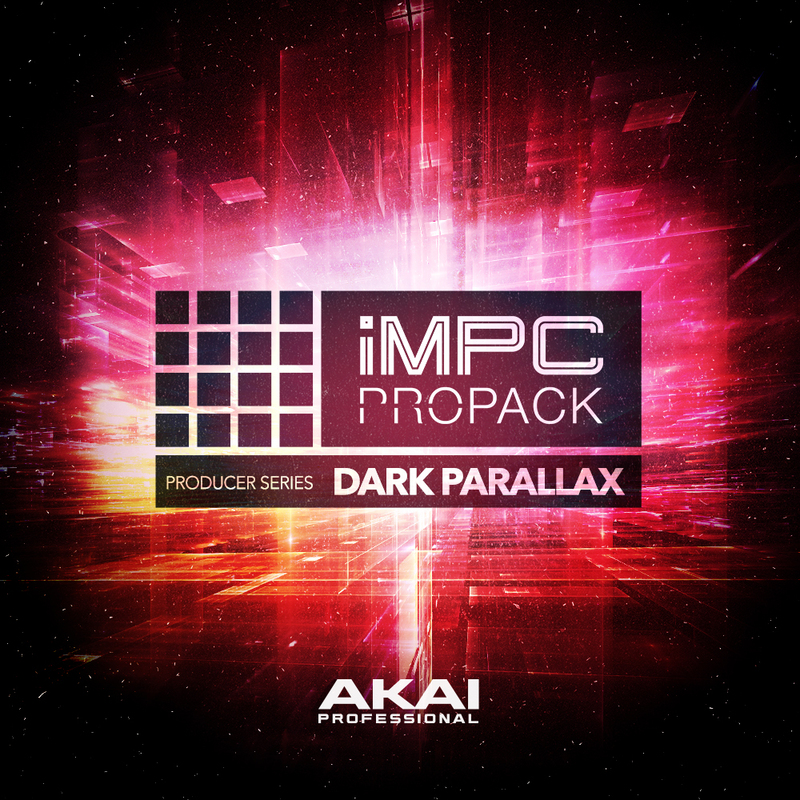 Dark Parallax: new iMPC Pro Pack available today! AKAI Pro and Multi Platinum Producer/Sound Designer "Snipe Young" is proud to present an incredible new product for your iMPC Pro, DARK PARALLAX. Developed exclusively from the ground-up by Snipe Young whose production credits include many of the top artists. Dark Parallax delivers a collection of 8 breath taking kits taking from the MPC version featuring the highest quality collection of processed drums and melodics, transforming your production to a whole new level. Inspiration starts here. Available now for $7.99 in the AudioCopy Content Store. MPC is known for its groove and gritty feel so I decided to create kits for both MPC and iMPC Pro with chunky textures, dark progressions, and tingly toppings. The Dark Parallax title gave me the canvas so using the definition of parallax ("the effect whereby the position or direction of an object appears to differ when viewed from different positions.") to define how I approached the colours I used. The word "view" stuck out to me and the second definition of the term (parallax) dealt with celestial things, so I felt a Drakish vibe with voices saturated in different ambiances would be fitting. The drums are like a modern vintage boom trap bap sound where it's not too trap and not too bap! In this pack I wanted to capture the analogue approach with digital thoughts. The inbox processing was done with the Slate Digital Plugins to keep the vibe in the same realm. Slate plugins allowed me to maintain the atmosphere that I created outside the box and lastly I had to warm everything with the Virtual Tape Machine. As an iMPC user you will gain a ton of well processed samples that will give you that authentic MPC feel inside iMPC, chunky snares, big kicks, glassy live hats, thick live toms, and plenty of loops to get your next track going. iMPC Pro Packs will work in any compatible app including Garageband, Launchpad, Tabletop and more. They also have enhanced features for iMPC Pro. If you AudioPaste iMPC Pro Packs into iMPC Pro, you'll get a set of Programs that are designed exclusively for iMPC Pro with the proper layout and parameters. Will iMPC Pro Packs work in Looping apps like Hook? Yes, however, most of the content focuses on one-shot samples. Most iMPC Pro Packs include 2-4 Loops per kit (see content list below for more information).